Healing of a wound following the micro-injury begins with clot formation to stop the bleeding to close and protect the wound. Clotting is followed by neutrophil (immune cell) invasion, which is the body’s way to protect the wound and prevent infection. In the inflammatory phase, macrophages and other phagocytic cells kill bacteria, debride damaged tissue and release chemical factors, such as growth hormones, that encourage fibroblasts, epithelial and endothelial cells to divide. 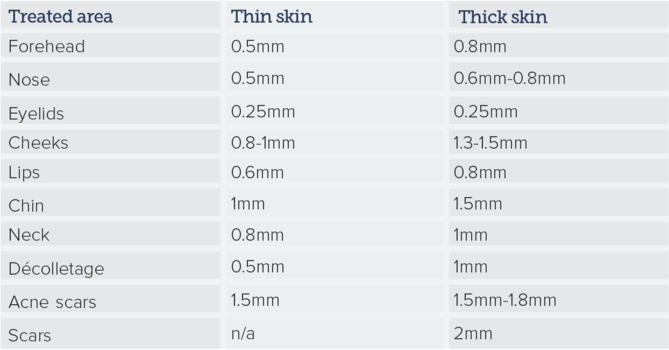 Figure 1: The table shows the average depth we would use when treating with a needling system according to the recommended protocol for the Derma FSN pen. In the proliferative phase, immature granulation tissues containing plump active fibroblasts form. Fibroblasts quickly produce abundant type III collagen which fills the defect left by an open wound. Granulation tissue moves, as a wave, from the border of the injury towards the centre. 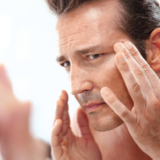 The fibroblasts produce less collagen and become more ‘spindly’ in appearance. They begin to produce the much stronger type I collagen. Type III collagen is largely replaced by type I. Collagen which was originally disorganised is cross-linked and aligned along tension lines. This phase can last a year or longer. Skin consists of three main layers: epidermis (superficial cellular layer), dermis (deep connective tissue) and hypodermis (subcutaneous tissue).2 As we age we produce less elastin and hyaluronic acid, while collagen is broken down and lost, leading to prominent signs of ageing. It is worth noting, that due to blood produced from this type of procedure, you may find that patients feel nervous about undergoing the treatment for the first time. It is only a very small amount, but can appear worse than it actually is. This is despite it actually being a minimally invasive procedure with minimal side effects. As with any aesthetic procedure, patient selection and preparation is key. Body regeneration and the healing processes slow down with age, therefore, in order to avoid a delayed healing process and possible complications such as hyperpigmentation, erythema and dryness of the skin, prescriptive skincare is required. It is not good practice to treat skin without any form of preparation (Figure 2), particularly if you are treating patients who are aged 35 or over or those who have skin conditions such as acne, melasma, scarring or rosacea. Microneedling on active acne may result in the spread of acne and infection, can worsen rosacea and without correct skincare can aggravate melasma. Introducing skin preparation alongside a course of microneedling treatments provides better and longer lasting results. Hydration is essential, as patients often report dryness in their skin during the recovery period, so I would recommend that patients use a hyaluronic acid-based moisturiser and vitamin E products. With correct preparation, this can be reduced or in some cases eliminated completely. 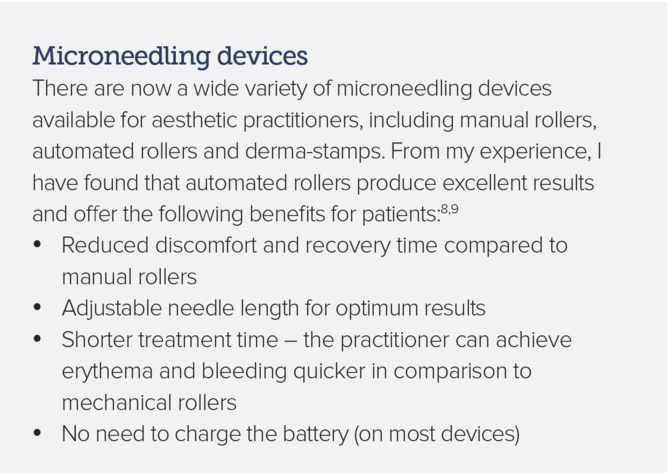 The skin preparation, number of treatments required and maintenance care following microneedling treatment differs depending on skin type and condition, and can be broadly categorised into four age brackets (Figure 2). If the original treatment has been done as a course, maintenance can be completed as a single treatment two to three times per year, or the whole course can be repeated again, depending on what the individual patient requires. Immediately before the procedure we apply topical anaesthetic over the entire surface area which we leave on for 20 minutes. We then remove this with antiseptic to ensure that the skin is clean and ready to lubricate. A serum is then added to the skin as a lubricant to help the needles slide without catching. The serum aims to reduce post-treatment erythema and helps for a quicker recovery. Following the procedure, the final step is the application of SPF 50+. 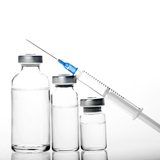 It is important to ensure that the patient has verbal and written post-treatment instructions before they leave clinic, as well as the appropriate skincare regime to use at home.5 Microneedling can be safely used in combination with dermal fillers, platelet rich plasma therapy, a course of skin peels and treatments such as mesotherapy and Profhilo. Skin type: Fitzpatrick Type II. Oily, sensitive skin which is prone to acne. As a teenager the patient suffered with acne, which later resulted in facial scarring. Skin preparation prior to treatment: Tebiskin OSK Cleanser, Tebiskin OSK Cream, epidermal growth factor, Tebiskin Hyal, SPF 50+. After two weeks of skin preparation, the patient had a course of three microneedling treatments. Maintenance regime: Six monthly treatments using the Derma FSN pen. Six weekly chemical skin peels using the Easy Phytic skin peel that combines glycolic, mandelic, lactic and phytic acid. Skincare the same as prior to the course of treatments. Results: From my point of view, I could see that the patient’s skin had a more even tone and felt much softer, which resulted in a more feminine appearance. From the patient’s point of view, she described feeling better about her skin, it felt much tighter and she experienced less breakouts. She also explained that when she applied makeup it was much more easier to apply with a smoother appearance. There was a reduction in the appearance of her acne scarring and her pores were much tighter. 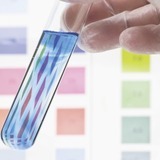 The epidermis level appeared much thicker and more even due to the encouragement of new cell production. 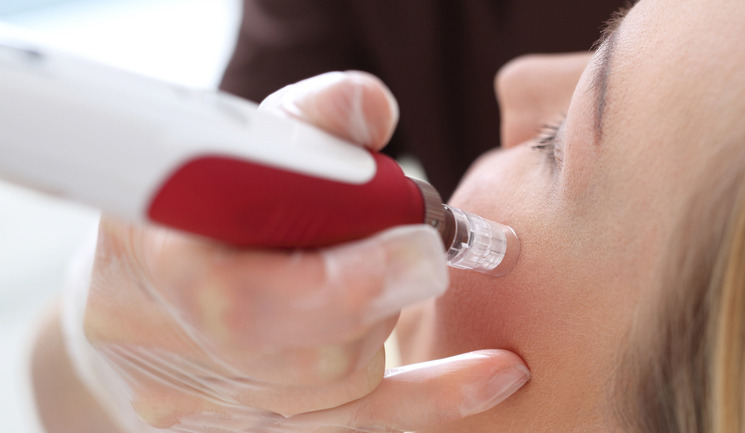 Without adequate preparation, microneedling can result in complications and adverse effects. These include erythema and oedema after the treatment, infection, hypo- or hyperpigmentation and scarring.10 Contraindications for this treatment include: bleeding disorders, active acne, active herpes simplex, skin infection, eczema, psoriasis and severe rosacea. Great care should also be taken with treating people aged 65 or over with very fine skin. The older the age group, the longer the skin preparation is recommended prior to treatment.10 Although from my experience this treatment has been demonstrated to be safe and suitable for all skin types, great care needs to be taken treating Fitzpatrick skin types IV-VI. Longer preparation will be required, with the use of lightening creams to control melanin. The basis for any cosmetic intervention is healthy skin. Even the most expert, high-quality toxin and filler treatments will not produce optimum results on pigmented, uneven skin tone. Microneedling provides excellent results for a wide range of skin types and conditions. However, skin preparation prior to mechanical remodelling should be seen as best practice. 2. Keith L. Moore, Arthur F. Dalley, Clinically Oriented Anatomy, 4th Edition, (2000). 3. WK Stadelmann, AG Digenis, GR Tobin, American Journal of Surgery, Physiology and healing dynamics of chronic cutaneous wounds (1998). This article was very informative. Can you state were the Tebiskin and Phytic peel can be purchased from? Mrs Yiola Plastiras: you can get the Tebiskin from skinmed and the Phytic from AestheticSource.